Having a good memory is an excellent tool, not only for academic success but also for avoiding embarrassment in everyday life when we tend to forget certain names, faces, important dates, events, facts, and so on. 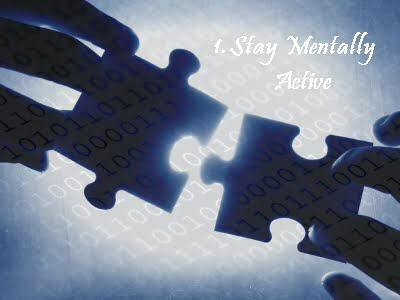 Stay mentally active and boost your brain stamina by solving crossword puzzles, jigsaw puzzles, brain teasers, playing strategy-based video games, word games, card games, and even challenging your brain by taking alternative routes when driving. Besides, learn something new like a musical instrument or a new sport. Exercising your mind also helps avoid problems like decreased cognitive function and dementia in later life. Your focus and interest play a key role in determining your recall of details pertaining to an event. You must have observed that you tend to remember more about those topics that fascinate you. Thus, you pay close attention to those people, places, etc. that you find interesting and hence, remember them better than those details that you do not focus on due to disinterest. 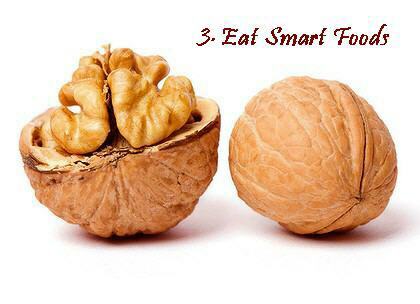 Improve your memory and concentration by including smart foods like carrots, broccoli, blueberries, walnuts, hazelnuts, cinnamon, tuna, salmon, kidney beans, milk, eggs, whole grains, and so on in your diet. These foods contain powerful antioxidants and are a good source of omega-3 fatty acids. Moreover, dark chocolate, being rich in flavonoids improves cognitive performance. Certain supplements such as Asian ginseng are also beneficial for maintaining good memory. In addition, restrict smoking and alcohol consumption as being toxic to the brain, they tend to harm your memory. 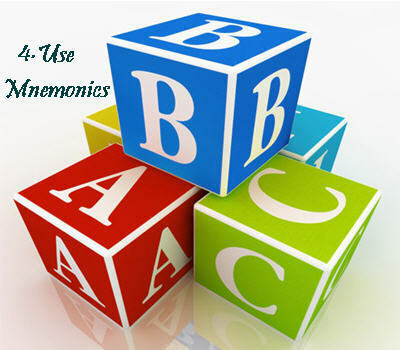 The best way to improve memory retention using memory tools and techniques is to create mnemonics as they help you remember things better. Simply put, it means encoding a piece of information to make it easy to remember. For instance, Roy G. Biv is a common mnemonic for the traditional optical spectrum consisting of Red, Orange, Yellow, Green, Blue, Indigo, Violet arranged in decreasing order of wavelength. To use this technique effectively, it is suggested that you first identify the type of memory you have. For example, some people have a visual memory (better remembrance after seeing) whereas others have an audio memory (better remembrance after hearing). Thus, you can use catchy rhymes, pleasant images, and interesting symbols to encode information which is difficult to memorize. Attaching meaning to something makes it easier to recall. Furthermore, techniques like that of repetition and writing things down help boost memory. Stress affects the learning and memory regions of the brain. There are three stages of memory processing, namely encoding, consolidation and retrieval. Stress interferes with all these stages. Hence, it is essential to reduce stress, particularly chronic stress. 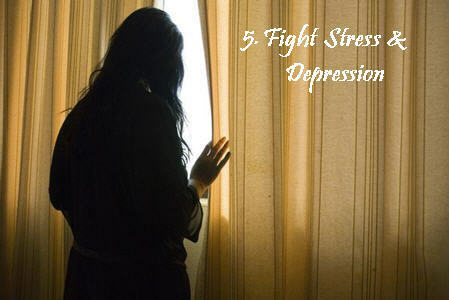 Depression, too, makes one lose focus and leads to attention impairment, thereby causing problems with memory. The simplest way to relieve depression and stress is to keep up your social life. Studies have suggested that socializing helps maintain good brain functioning and optimal memory. Plus, you need to lead a healthy life by including at least half an hour of physical activity like brisk walking, running, jogging, swimming, cycling, etc. in your daily routine. Exercising enhances neurogenesis and increases oxygen and nutrient delivery to the brain. Furthermore, it helps release hormones and chemicals that elevate your mood and alleviate stress. Besides, you can try relaxation techniques to manage stress. Proper sleep is another important aspect that we often take for granted. Students, in particular, do not get quality sleep while studying meticulously at odd hours. This, however, is not helpful. In fact, certain studies have shown that sleep strengthens memory in some individuals. It affects the hippocampus-dependent, hippocampus-independent, and declarative memory. Sleeping, especially after learning improves memory retention by optimizing memory storage. Moreover, sleep derivation tends to affect your cognitive performance as well. Certain over-the-counter drugs or prescription medications have been known to cause memory problems and affect the ability to concentrate. Some of these include medicines that treat depression, anxiety disorder, insomnia, arthritis, allergies, etc. 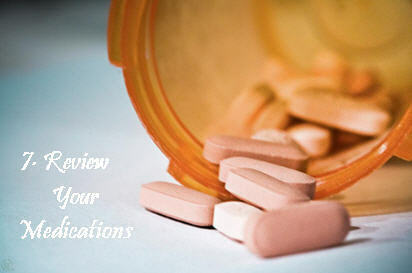 So, discuss with your doctor about the possible side effects of the medicines you are taking.